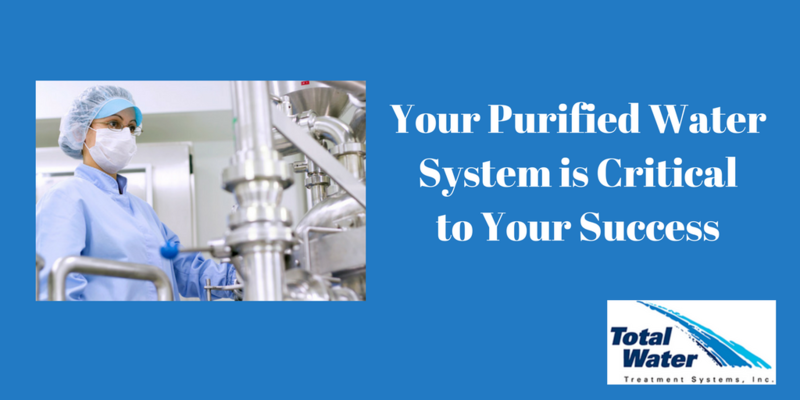 When a pharmaceutical manufacturer is choosing a purified water system, their number one concern is Total Organic Carbon (TOC). 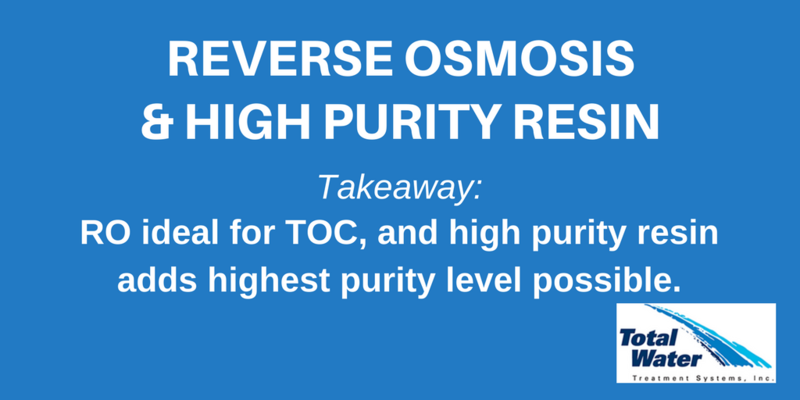 As we noted in this post, Total Organic Carbon is listed by United States Pharmacopeia (USP) as a key item to test for in a purified water system. 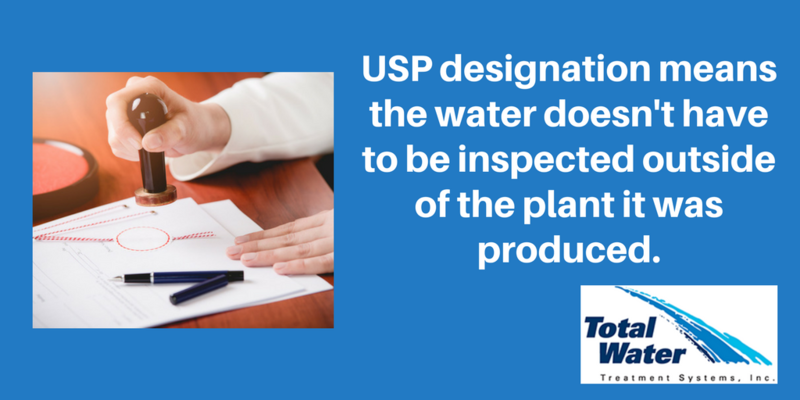 USP sets the standard for purified water systems. Before we delve into the types of purified water systems that can help meet their standards, let’s take a look at the most important types of water uses in pharmaceutical applications. A system may be under-engineered, in which it fails to include essential components such as a Reverse Osmosis (RO) filter, a storage vessel, a deionization system, UV technology and final filtration. People fail to ensure the storage vessels are properly sized and ventilated. The vessel should also be made from low TOC material. Because TOC count is extremely sensitive, sending water samples to outside labs increases the potential for human error. An inline meter will take the “human element” out of the equation. As we’re about to show you, the deionization resin plays an important role in the purification process (particularly if you’ve chosen the ideal water system). Microbial content can be seasonal, which is why continuous monitoring is required. Now that we’ve described some of the potential threats to your purified water, let’s take a closer look at the water system designs that can help solve the problem. 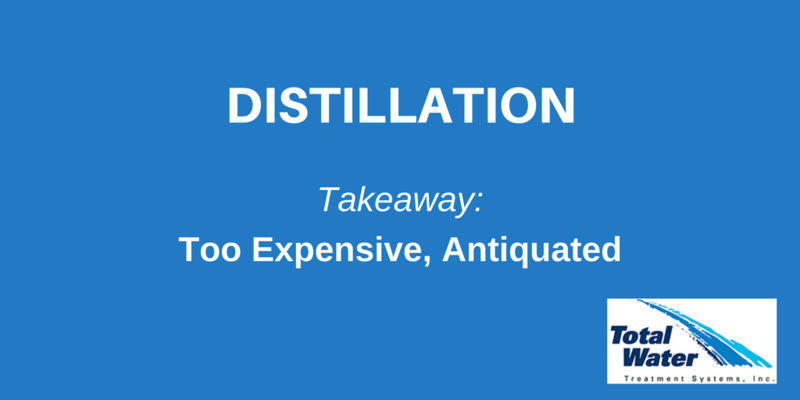 Distillation is a method widely used in Europe, but is a system that’s become antiquated. Through the use of stills, the system boils large quantities of water to produce distilled water. While the water consumption is actually less than an RO system, the Distillation method requires an enormous amount of energy, and it’s typically cost prohibitive. With electrodeionization, an electrical charge is sent to a resin pack, which then charges the ions which can then attract impurities through a chemical process. 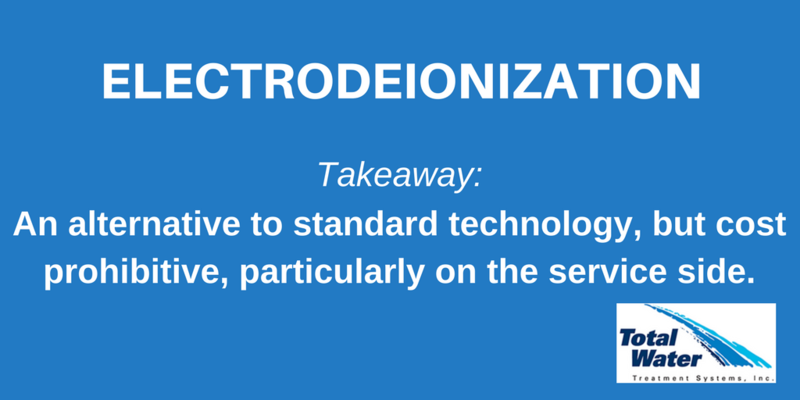 When electrodeionization was introduced approximately 15-20 years ago, it was supposed to be revolutionary and become the water system of choice. However, it’s proven to be too costly to implement and service, as it’s difficult to find technicians skilled in the system. In this system, reverse osmosis is used because it is an effective organic filter. It does the lion’s share of removing living organisms in the water. However, the RO system can only achieve water purity of approximately 10 microsiemens or greater. That’s why high purity resin is added to the system, allowing the system to reach 18 megohms of resistivity — which is water in it’s purest state. Click here to learn more about deionized water. We’ve described the primary water systems used by pharmaceutical manufacturers. Now what are the qualities that should be present in the ideal pharmaceutical water system? A big mistake made by both manufacturers and water system providers is sizing a system strictly for today’s usage. You should always choose a system with the flexibility for future growth. These systems are complex, and the last thing you want with a rapidly-expanding business is to have to slow down or stop your operation and install a new, larger system. Most pharmaceutical water systems will need to be validated. 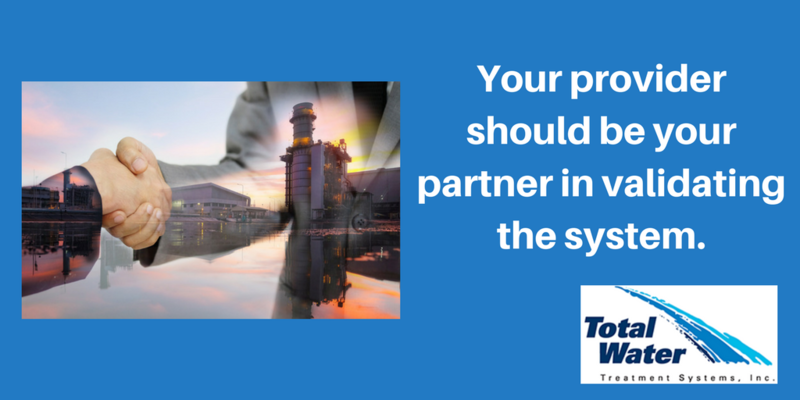 Look for a provider that will assist with a written protocol for the regular operation of the system and for any preventive maintenance work. Every pharmaceutical operation includes a significant investment. For many companies that produce a product that starts with water, a disruption particularly at the beginning of the process can lead to extensive down time. Choose a service provider with around-the-clock service capabilities. No one has to tell a pharmaceutical manufacturer the potential risks involved with every product. Everyone understands the rigorous validation standards and extraordinary requirements the pharmaceutical industry demands. Failing to meet these regulations could cost millions. That’s why you should use our systems descriptions as a guideline. If you’re looking for a new water system, be sure to weigh the intangibles such as industry experience and engineering expertise. It’s all critical to your system — and to your success! We’ll do more than give you a quote—we’ll visit your site to analyze your industrial water needs.